Limited quantity for big discount. Price will be restored to original after promotion. 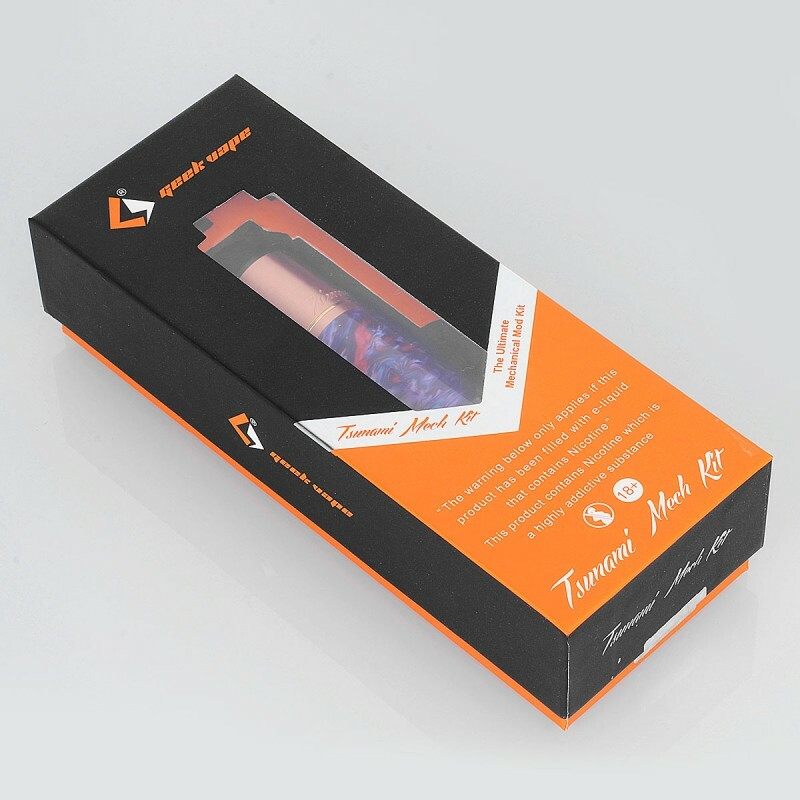 The Authentic GeekVape Tsunami Mechanical Mod features quick switch between 510 mode to hybrid mode. 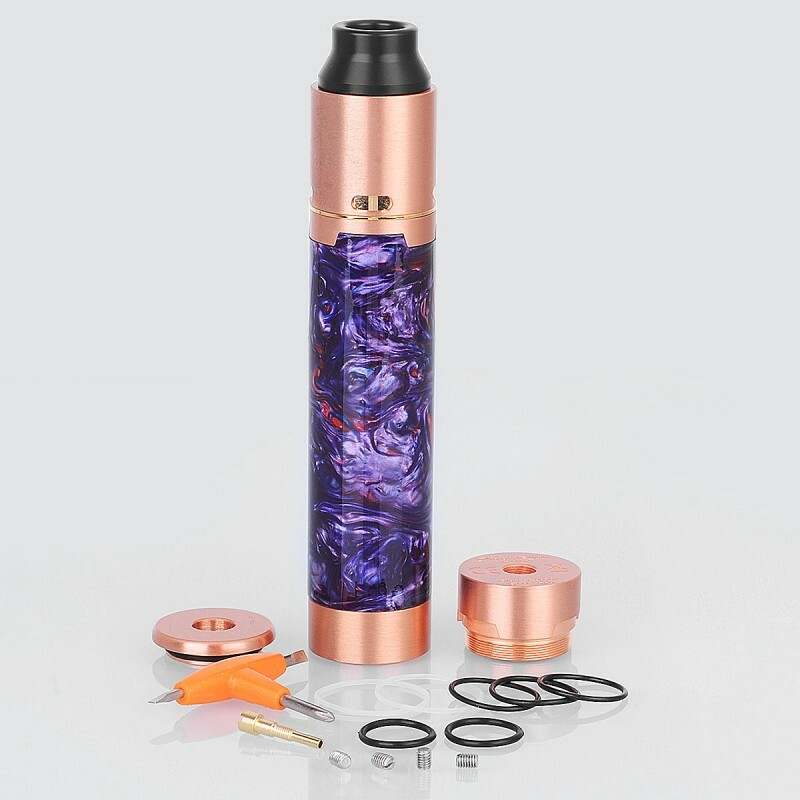 510 mode works safely with all kinds of tanks; Hybrid mode for optimal power output, direct connection with 18650 battery. Enhanced magnetic button eliminates battery rattle. 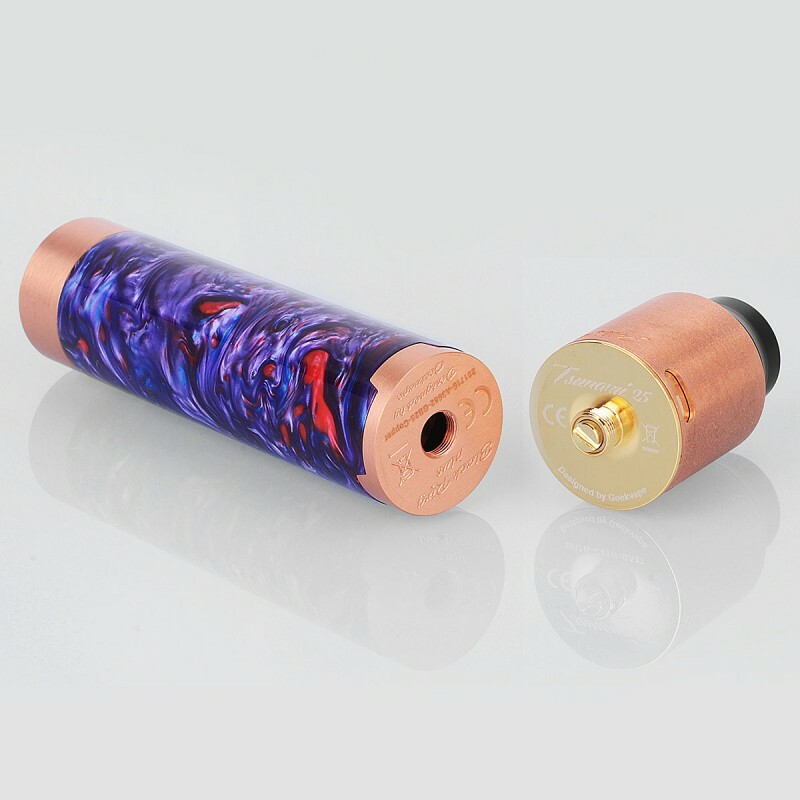 Please Note: The resin part will be shipped in random color. Staggered inner chamber to eliminate damage to the silicone ring. 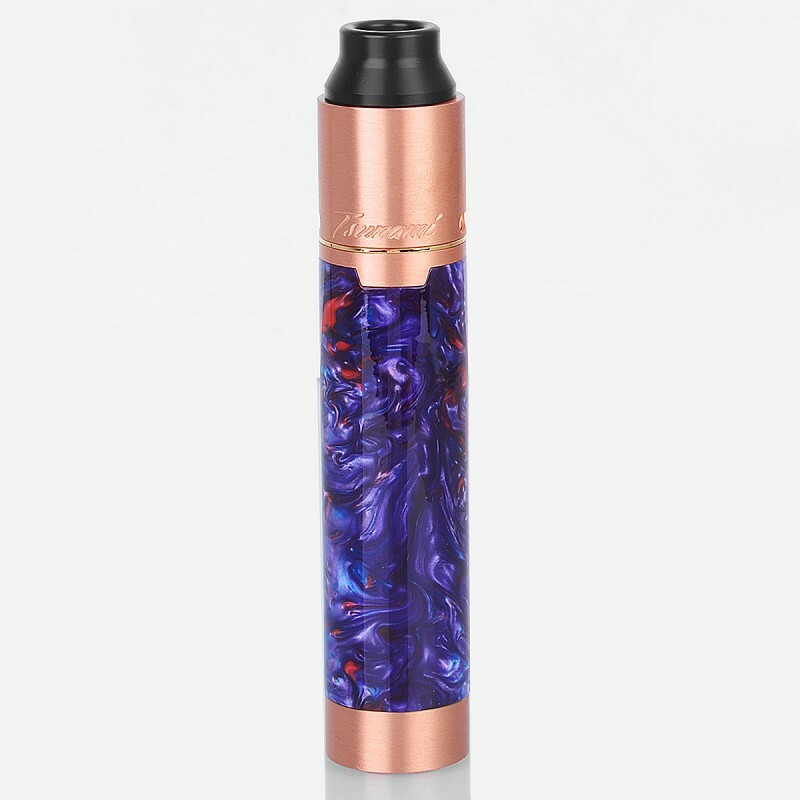 The Tsunami Mech Kit keeps everything that works on the Karma Kit and improves on some of the concerns I had, specifically the short 510 pin on the RDTA when using the direct connection. 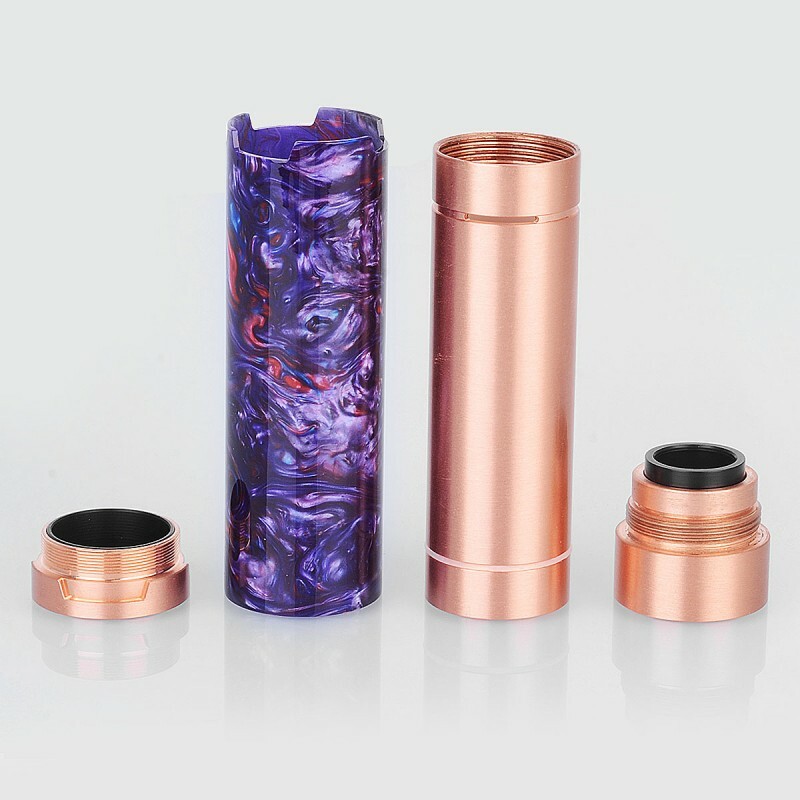 It’s nice that Geekvape also includes the optional 510 cap for use with sub-ohm tanks, and to help instill confidence in new mech users, or anyone not comfortable with a direct connection. 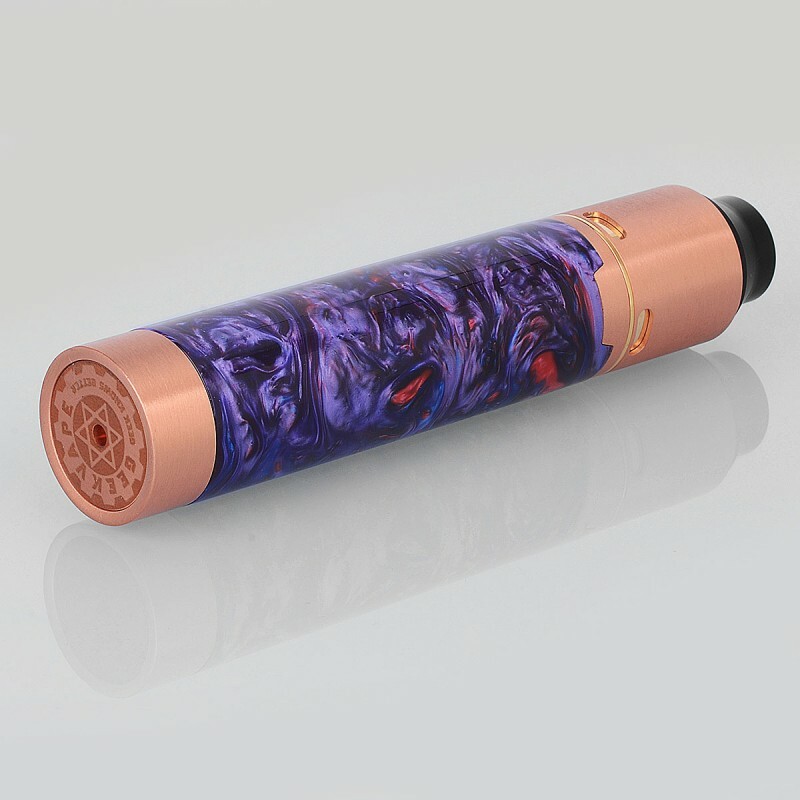 This kit will appeal to seasoned mech mod users. 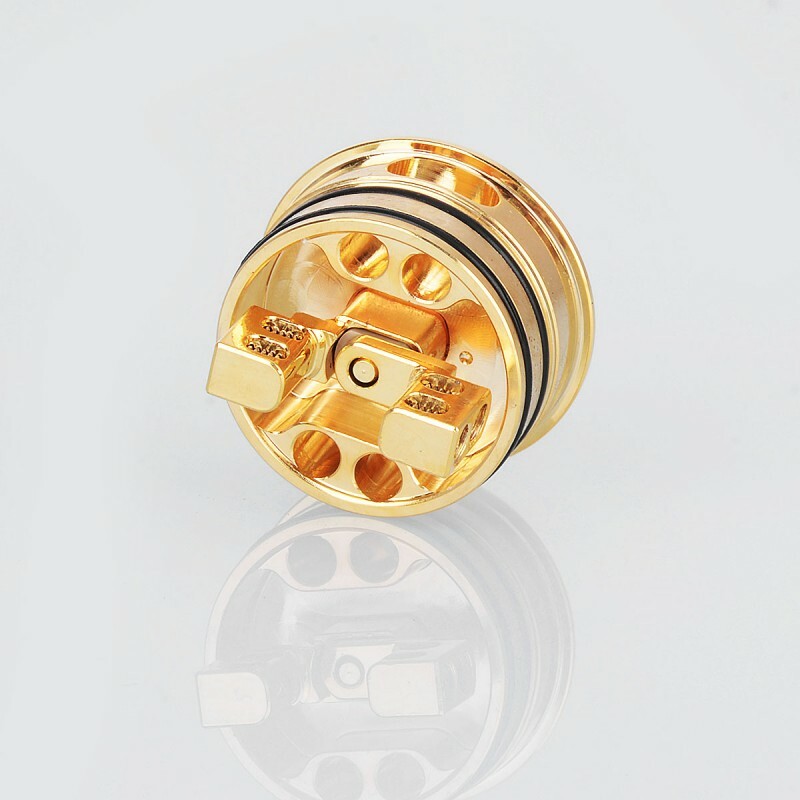 It’s a well machined, hard-hitting combo with a great switch, good airflow and lots of room to build. 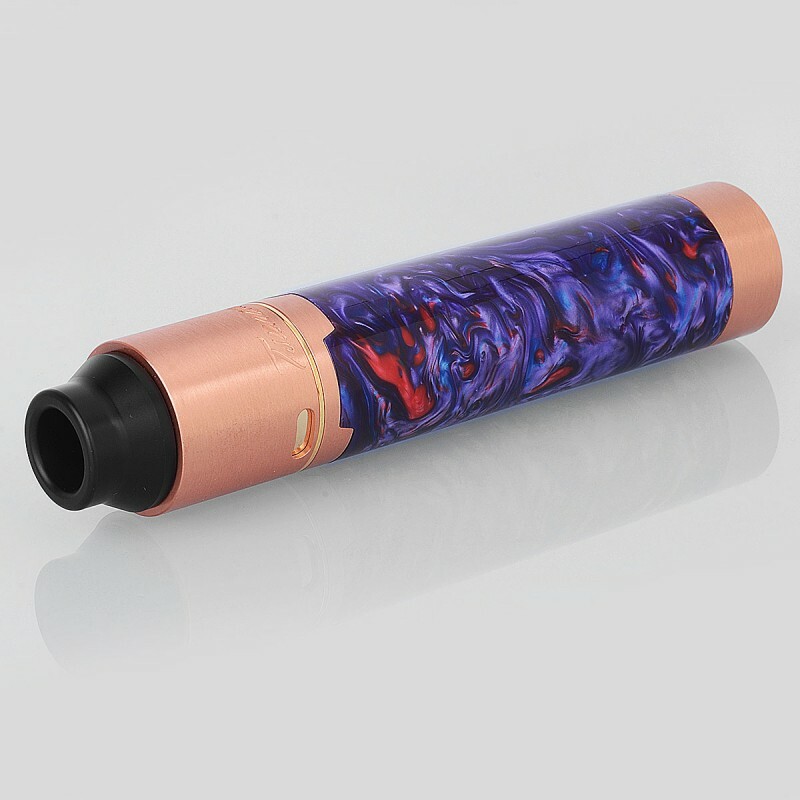 With the lined tube and 510 cap, I can also confidently recommend it to anyone considering their first mechanical tube mod, and once they get comfortable it’s a simple operation to switch to the direct connection. 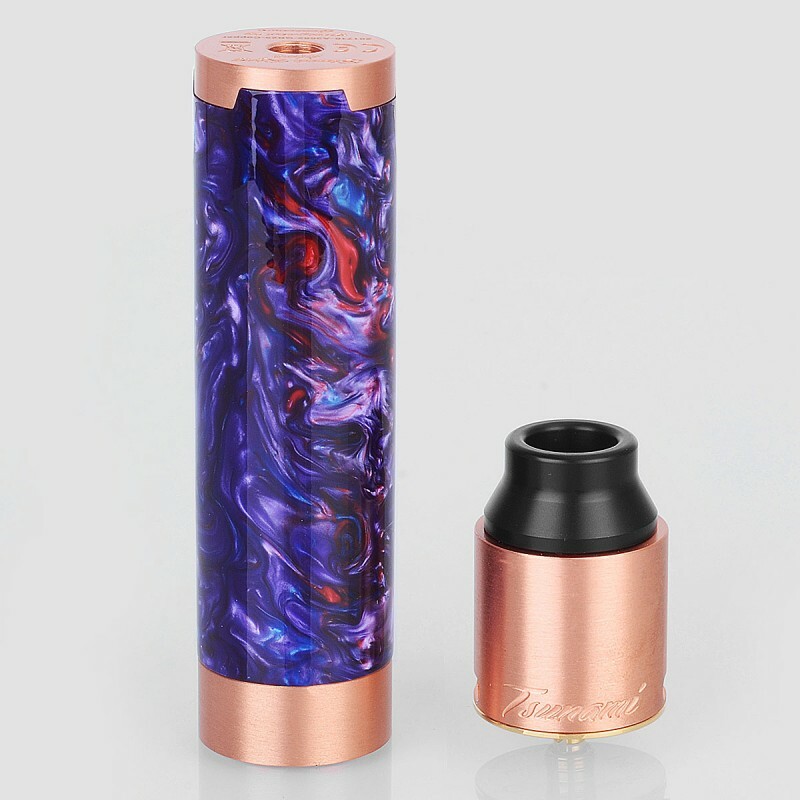 The Tsunami Mech Kit is further proof that Geekvape is committed to deliberate and thoughtful product design. Rather than bombarding us with poorly-tested, average products, they carefully and consistently bring us quality gear at affordable pricing. It’s a formula that has served them well for their short, but impressive three-year run and they stay the course with the new Tsunami Mech Kit.